Home / PaperlessKitchen Blog / Back to School - Time to Green Up! Back to School - Time to Green Up! 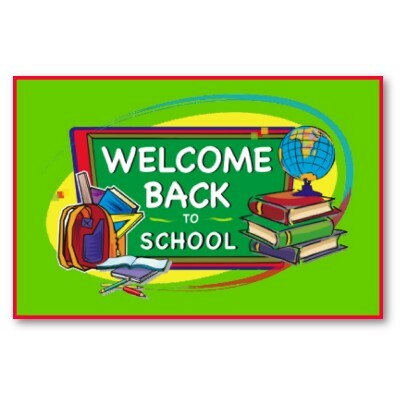 The back-to-school season is officially underway with most kids and teens already back in the classroom. Hopefully, you've already gotten your school supplies and the other essentials chosen for your kids, and everyone's falling into the routine of earlier bedtimes, homework sessions and after school activities. With the daily grind now officially resumed, now is the perfect time for you to take a step back and evaluate just how green your child's lunches are. How many items from her lunchbox will she throw away in the cafeteria garbage can? What hidden chemicals are lurking in the containers that he's eating and drinking from? If you don't like the answers that are coming to mind, our Top 5 Ways to Green School Lunches is here to help! This list features five of Paperless Kitchen's best eco-friendly solutions for kids' lunches that will help you cut back on waste and feel better knowing your kids aren't being exposed to BPA and other toxins. 1. Eco Lunch Bags - These hand-dyed, cotton bags are the perfect alternative to paper lunch bags. Reusable, these little marvels are made by free trade artisans and can be converted to a backpack or purse. 2. eco-Ditty Sandwich and Snack Bag Set - Colorful and fun, this duo includes two bags--one for a sandwich and one that's ideal for carrot sticks, crackers and more! A great substitute for plastic sandwich bags, the eco-Ditty bags are made from organic cotton. 3. Bambu Disposable Bamboo Sporks - Alternatives to plastic forks and spoons, these handy sporks are made with bamboo fibers. They're biodegradable and designed to be thrown away after use. Another plus—they’re the perfect size for little fingers. 4. Bambooee - Instead of a paper napkin, send along a bamboo-based, reusable sheet that can be laundered and used repeatedly. When the paper towel alternative is finally ready to be thrown away, it will break down within 5 weeks, so its environmental impact is minimal. 5. Eat Cleaner Wipes - Explain to your kids the benefits of protecting their bodies from chemicals and toss an Eat Clean wipe in their lunch daily, so that they can eliminate pesticides and germs from their apples or oranges before they enjoy them. Remember that when you're taking the time to select eco-friendly lunch options for your kids that it's important to let them know about the products that they're using. Taking the time to explain your paperless philosophy can help them become good green citizens as they grow. It's never too early to start raising eco-minded kids!